Can A Cup Of Coffee Save Your Health? Scientists have discovered that caffeine can help the cardiovascular system by decreasing the inflammatory processes in the system that may lead to increased risk of cardiovascular disease. Los Angeles hemorrhoid specialist Dr. Allen Kamrava shares the reason why you should start incorporating coffee in your daily routine. Most adults enjoy a cup of coffee in the morning in order wake their bodies up and keep them alert for the day ahead. New research has suggested that caffeine not only helps you stay awake at work, it can also have heart-healthy benefits that can extend your life. As we get older, our bodies begin to break down, our immune systems weakens and our hearts have to work harder to pump blood through our bodies. The unhealthier we are as we age, the greater the chance we have of organ failure and early death. You may be able to decrease the negative affects of aging with a healthy diet and exercise. Now scientists believe that adding a healthy amount of caffeine to one’s daily routine can also help you combat various diseases that come with age and even extend your life. 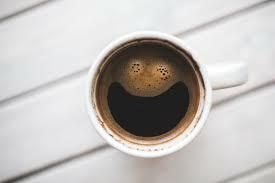 Caffeine is a neuro-stimulant that occurs naturally in some plants, such as the coffee bean, cocoa beans, and tea leaves, that ‘excites’ the nervous system and can have full-body effects. For many people, caffeine consumption causes alertness, which is largely the reason why it is consumed. But caffeine can also have other positive effects if consumed in healthy quantities. Researchers have found links between regular coffee consumption and an overall lower mortality rate. 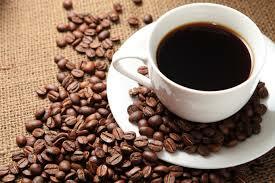 Individuals who consumed coffee were at less risk of developing cardiovascular disease. They also discovered an overall reduction in the chances of developing other fatal ailments such as cancer and strokes. These studies have led scientists to believe that caffeine can be beneficial to add to one’s daily routine. What Are The Side Affects Of Too Much Caffeine? However, it is also important to recognize the risk factors of consuming too much caffeine. Because caffeine is a stimulant, it can cause rapid heartbeat and increased blood pressure, which may increase your chances of having a heart attack. Caffeine can also cause digestive issues as well as issues with fertility. Caffeine should be consume responsibly and it is important that you go to the doctor to make sure you are not overdoing it and experiencing the negative affects of caffeine. A highly-rated colorectal surgeon and general surgeon, Dr. Allen Kamrava is a leading hemorrhoid specialist Los Angeles. Trained to treat a wide range of gastrointestinal ailments, Dr. Allen Kamrava specializes in providing quality and focused hemorrhoid relief. His medical practice is located at 9001 Wilshire Blvd., Suite 104, Beverly Hills, CA 90211. For more information contact him by phone at 424.279.8222 or visit his website at colorectalmd.com.